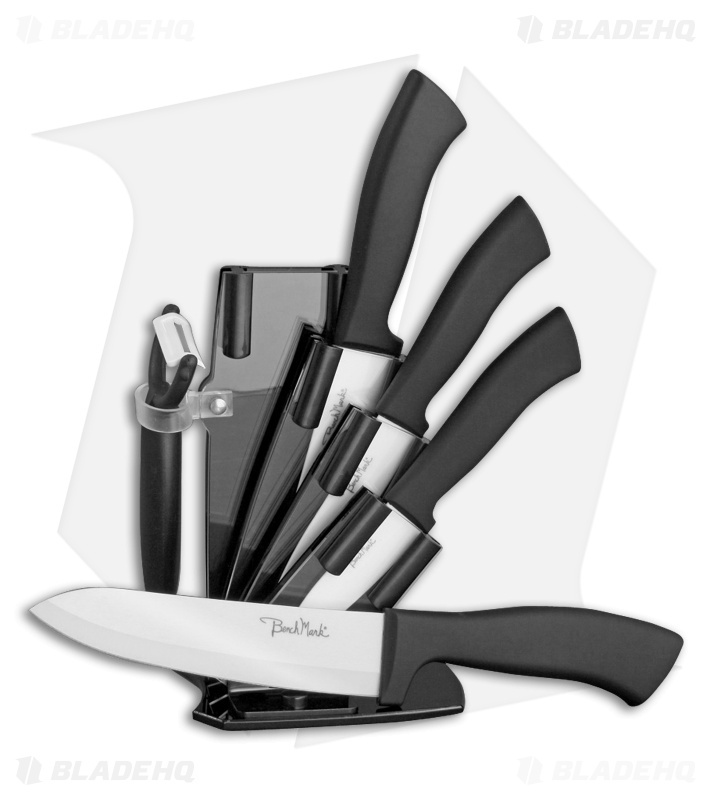 The Benchmark 6-Piece Ceramic Kitchen set is a great addition to any kitchen! White ziconium oxide blades maintain an extremely sharp edge while black rubberized handles provide a comfortable and secure grip. 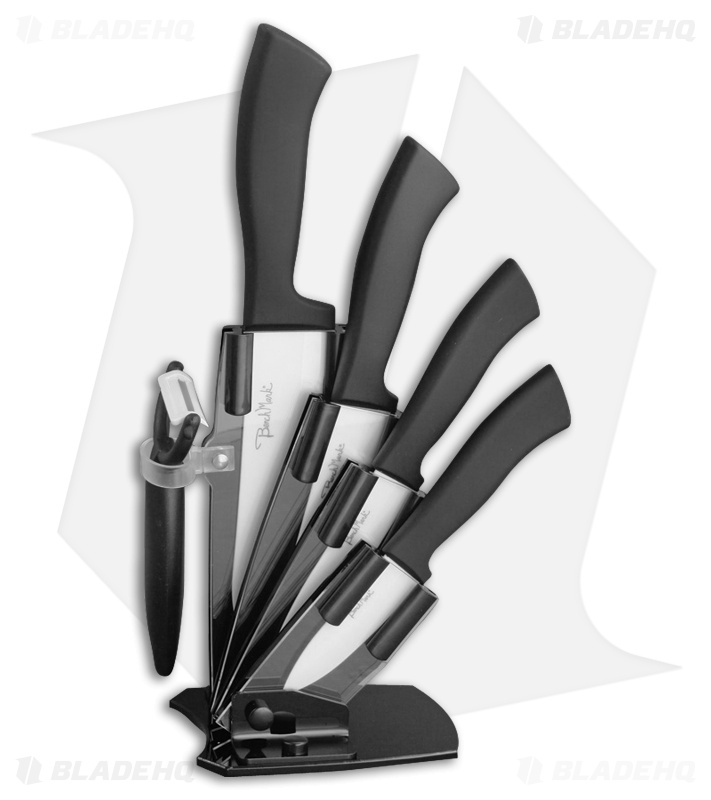 Display your set with the included black knife stand.